This program aims to develop the knowledge and skills of medical practitioners working with patients with mental illness. The course fosters attitudes of tolerance to the diversity within the community and the geographical region, equity to appropriate treatment for all individuals and encourages the practitioner to consider sociocultural factors in their interactions with patients and broader community. It is designed to encourage students to explore the theoretical concepts in psychiatry and relationship to clinical practice. The seminar format of the course, led by a facilitator/lecturer, encourages student participation, self-directed learning, problem solving and the integration of theory with clinical practice. This program is run by the Department of Psychiatry, University of Melbourne and the Department of Psychological Medicine, Monash University. Candidates who successfully complete the course will be awarded the Master of Psychological Medicine or Master of Psychiatry, from the 2 universities. Postgraduate coursework Doctor of Medicine; or an undergraduate degree in medicine or equivalent; and at least one year of documented experience as a practising doctor; and Current registration with the Medical Board of Australia. All applicants must at the time of admission and during their candidature be engaged in psychiatric practice or clinical training in psychiatry, or be medical officers in a psychiatric service or be private medical practitioners with a significant proportion of their practice involved in working with patients with mental illness. 150 credit points over one year full time or 36 months part time. Students must complete six core subjects and four selective subjects. The configuration of the subjects is dependent on "Intensive" (one year) or "Standard" (36 months) mode. 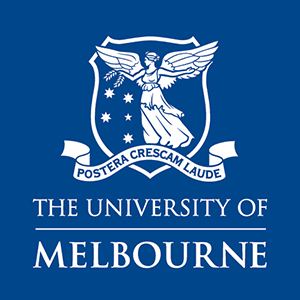 At the University of Melbourne, your success begins from the day you set foot on campus. The unique and proven Melbourne Model, Australia’s most progressive curriculum, allows you the flexibility to uncover and explore your passions, assisting you to achieve greatness, no matter what you decide to do – during your studies and for your career. From solving real-world problems to forming powerful relationships as you go, your success is already in the making. At Melbourne, you’ll be exposed to different ideas, approaches and ways of thinking that will help you adapt and change successfully – something that’s crucial in a world where careers, jobs and employer demands are shifting as fast as you can read this. The Melbourne Model offers pathways into law, engineering, medicine, architecture, teaching and more. Combining undergraduate and graduate study gives you a higher qualification than a double degree. In fact, 97 per cent of Melbourne undergraduates and 98 per cent of postgraduates are employed three to five years after graduating (QS Graduate Employability Rankings 2018). Ideally located in the heart of Melbourne, the University of Melbourne is an integral part of the city’s history and culture and boasts the world-class facilities, student accommodation and collaborative learning precincts only a premium, inner-city university can offer. The support Melbourne offers students – from housing advice, career and employability information, study assistance, disability and counselling – is one reason why Melbourne students are more likely to complete their degree than those at any other Australian university (Tertiary Education Quality and Standards Agency Report 2017). With our communities of interest – including places of worship, the student union Queer Space, and Murrup Barak for Indigenous students – everyone feels welcome. The University of Melbourne’s Study website is a ready resource for everything you need to know about studying at Australia’s leading university. From eligibility requirements for domestic and international students and submitting an application through VTAC to applying for special entry schemes and scholarships, you’re set up for success from the get-go. At Melbourne you’ll start with one of our undergraduate degrees. Whether it’s one of the Melbourne Model degrees in arts, biomedicine, commerce, design, music or science – or a specialist degree co-designed with industry such as agriculture, fine arts or oral health – you’ll progress through your studies while building networks, knowledge and shared experiences that will set you on the path to success. You can then choose to join the workforce or specialise at graduate level. And, in the meantime, study at partner institutions across the world. Now, with a whole raft of new Graduate Degree Packages and scholarships on offer, your options and pathways are deeper and broader, and your success more assured than ever.